While growing up in Wyoming, Brett Keisel loved hunting and being outdoors in the wide open country loved by so many outdoorsmen. He’s currently an All-Pro defensive end for the Pittsburgh Steelers. At 35 years old, Keisel has toiled in the National Football League for a dozen years, earning high praise from coaches, teammates and opponents for his work ethic, dedication and professionalism. He has hunted for 20 years and his favorite animals to hunt with his bow are white-tailed deer and elk. Keisel and his family live in Pennsylvania. You’re in Pennsylvania, one of the top states for deer hunting, but it collides with the NFL season. Do you get to do any hunting in autumn at home? Absolutely. I stick with archery, the weather is nice here early in the season and my body is not too beat up at that point. By time rifle season gets here it’s hard to get out of bed and into a tree somewhere. I have a big passion for archery. I got my deer last year with my Bowtech Destroyer. I have a nice piece of property here near Pittsburgh and can pretty much hunt in my yard. I’m surrounded by woods and there are a lot of big deer running around there. I have some food plots in the field behind house, mostly to keep the deer from eating the flowers. What is it about bowhunting that you enjoy so much? I just love the intensity, getting close to the animal, trying to get a good, clean shot. I’ve always loved it. I was 16 and growing up in northern Wyoming hunting elk and got my first elk with my bow. That kind of changed my life and hooked me on archery forever. Do you get to hunt in Wyoming now or will that come after retirement? I don’t, because of the season (overlap), but I’m building up my bonus points for the draw system out there. 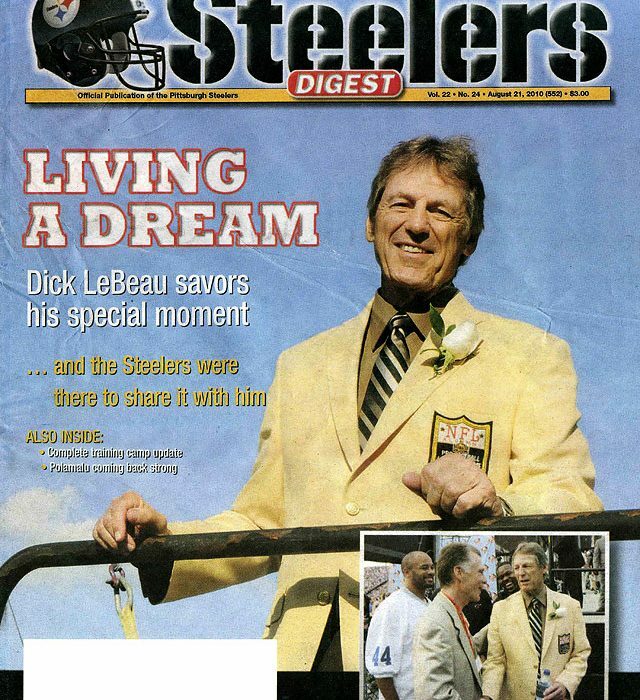 This is my 12th year in the NFL and I’m definitely on the downhill slope. I don’t know what’s going to come down the road but when I’m done (with football) and back home, I’ll be making up for lost time. 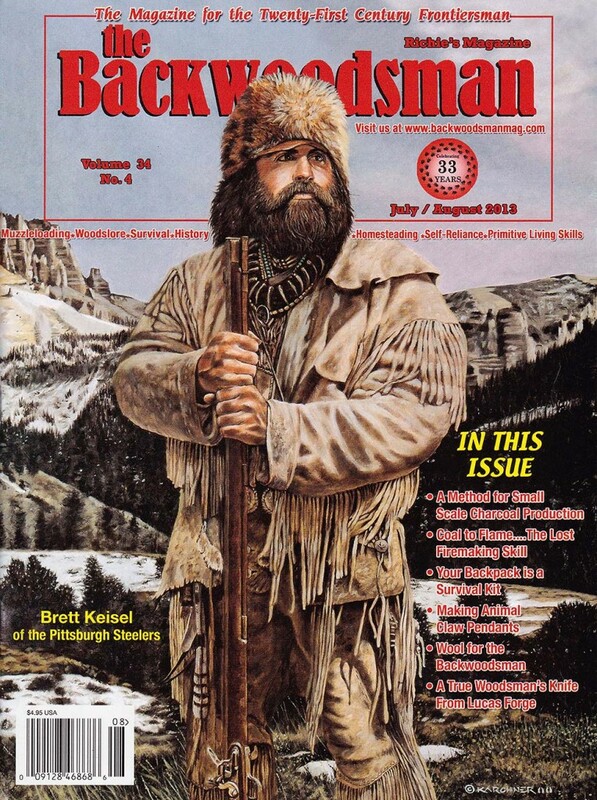 The painting Denny Karchner did of you that is on the cover of The Backwoodsman magazine is very cool. How did that come about? That’s my natural outfit, really. I’ve gotten to be friends with Denny. 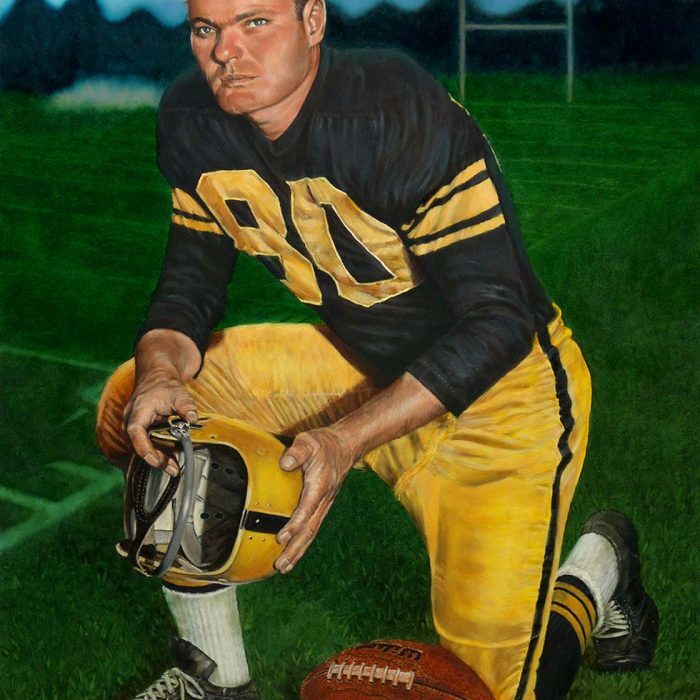 He lives in Cody, about 30 miles east of where I grew up, and he did a painting me with my Steelers gear on. 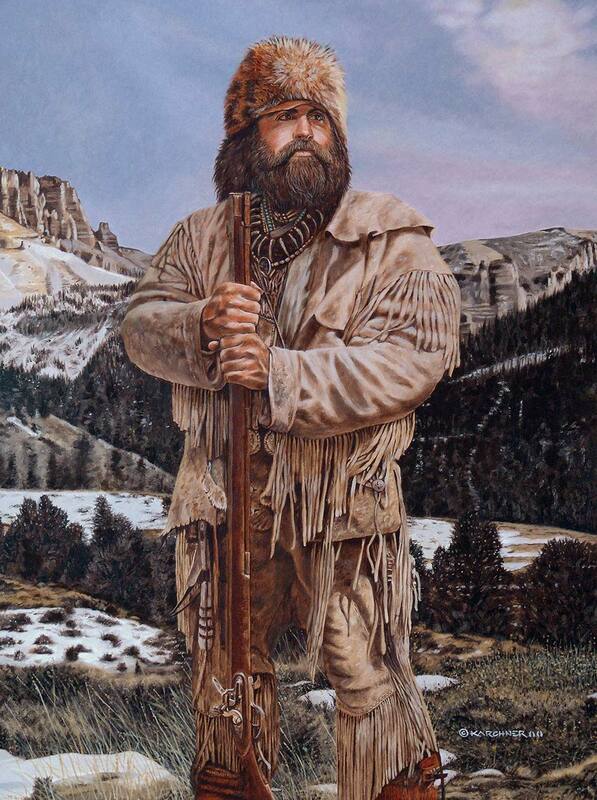 He asked if he could do a painting of me in my mountain man garb and, of course, I loved it. I’ve always loved the outdoors and being outside. In winter I get stir crazy being stuck inside. I’ve just always loved the great outdoors and Mother Nature, and this great continent we live on. This is a great passion of mine. That painting turned out great. The mountains in the background of Denny’s painting is where I grew up hunting. Read the full article about Brett’s love of hunting HERE. Thank you to Mr. Clemons and Deer & Deer Hunting Magazine for the great article! 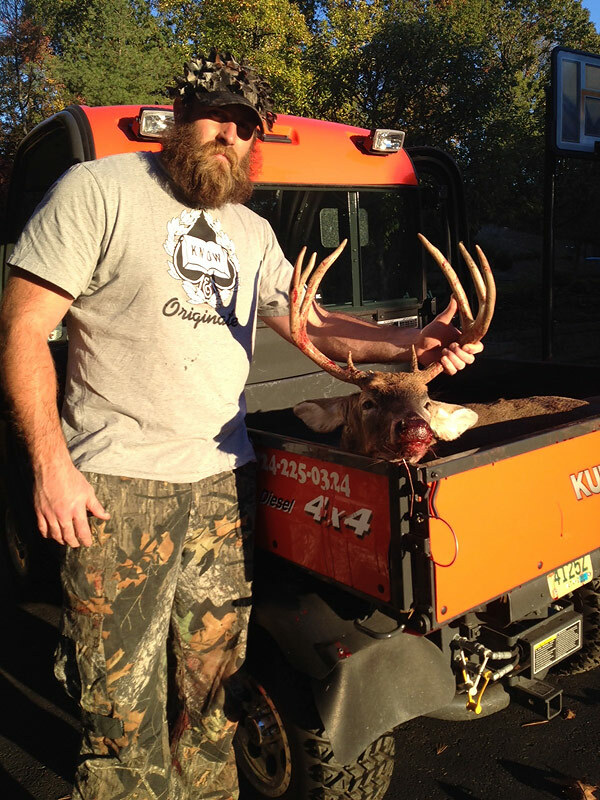 Click here to read more about Brett Keisel.